Looking for IVA advice? Take an IVA test! Imagine the following scenario: You’re facing massive debts. But rather than having to declare bankruptcy and losing your financial independence, you’re offered the chance of renegotiating a new deal with your creditors. After a period of five years, you have wiped the slate clean and you’re debt-free again, ready to begin a new life. Sounds too good to be true? Well, it’s pretty much exactly what an IVA does and it may be available to you as well. For anyone looking for help with their debt, therefore, an IVA (Individual Voluntary Agreement) constitutes a great tool. In short, an IVA is a formal and government-supported version of a debt management plan. Both with an IVA and a debt management plan, borrowers pledge to pay back what they can and creditors agree to adjust the original contract and arrange for a more realistic proposition. The rationale behind these steps is that not all borrowers are actually unwilling to meet their financial obligations, but may merely not be able to meet them in full. Creditors, on the other hand, will be willing to talk about an IVA, if they are able to at least get back part of what they’re owed rather than nothing. This is why IVAs have become exceedingly popular in the UK and have been a great help in driving down overall insolvency numbers. While the fundamentals of an IVA are pretty straight-forward, it is nonetheless important to get professional advice if you’re considering applying for one. After all, as much as it constitutes a great help for anyone who’s run deep into debt, an Individual Voluntary Agreement typically binds you to its stipulations for a period of up to five years and is still very much a serious business. An IVA test with a specialised insolvency practitioner can help you assess whether or not you meet the requirements as specified by the Insolvency Act and if it is a good idea for you in the first place. As part of this test, the insolvency practitioner will run through a series of basic points with you and then decide on the next steps to pursue. Later, when the application for an IVA has been made, it will also be his job to provide an estimation of the proposal on the basis of your financial situation. So what questions are part of an IVA test? First of all, the test needs to determine your precise debt level. You can only apply for an Individual Voluntary Agreement if your overall debt exceeds £12,000. The reason for this high amount being that an IVA is really intended to help those with large debt levels and facing serious problems. 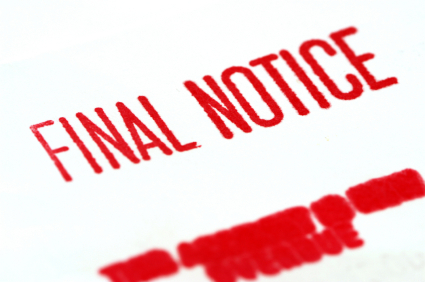 The second stage of the IVA test consists in finding out just how many debtors you have. Only if the total exceeds two will you be able to reap the benefits of an IVA – and note, too, that multiple loans from one and the same creditor do not count. Naturally, this part of the test will also pave the ground for the next stage of the IVA procedure, namely getting in touch with your creditors in a bid of presenting them with an interesting proposal. In the final stages of the IVA test, a few smaller and more general requirements are checked, including, for example, whether you’re a UK resident. Although it is MFIP that supervises the IVA through to its conclusion, the quality of the advice provided to you in the early stages of an IVA will prove to be decisive in terms of your proposal being accepted. So make sure to get professional debt help from an experienced insolvency practitioner. The Debt Advisory Line is one of the UK’s leading experts on IVAs. An IVA may not be free – but the IVA test on their website is. Just curious – is there an equivalent to IVA in the US? Sounds like a government run program so I guess a debt consolidation company is different (they also charge ridiculous fees and are often shady). @60K. In Canada, there are actually a few debt consolidation companies that are run by the government so people are protected from outrageous fees. You are right though; you do need to be careful about who you deal with. I’m not sure if you pre-planned this post, but in light of the markets lately, I wonder how many people will be in need of this advice now, versus a few weeks ago when everything looked more rosy? Anyway, great job. @Doctor stock. It is still something to keep in mind for when things pick up again. Knowledge is knowledge.